October 1888: During the construction of the Metropolitan Police headquarters near Whitehall, which would later be known as Scotland Yard, the remains of a body were found. In September, a severed arm had already been discovered in the muddy shore of the River Thames. There is another murderer roaming the streets of London in Whitehall, amusing himself by spreading the pieces of a poor woman around Whitehall, like some kind of macabre treasure hunt. 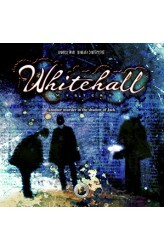 The identity of this monster and his unfortunate victim are a mystery, the Whitehall Mystery. https://www.youtube.com/watch?v=f-1YfL8yyo8 ..